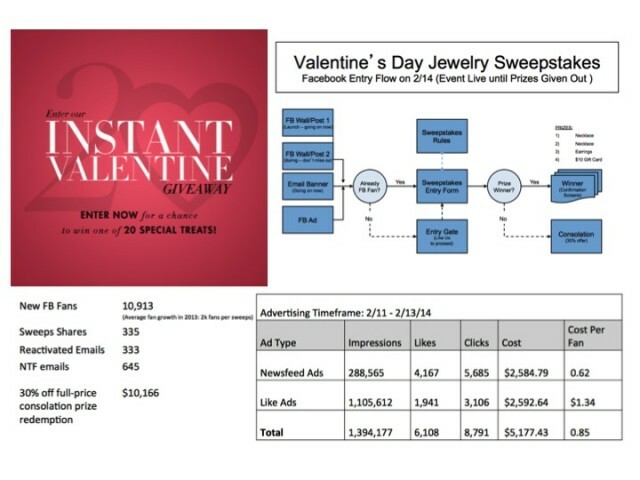 I planned the first ever instant win for Coldwater Creek to coincide with Valentine’s Day. Coldwater Creek had a history of running sweepstakes, but none that provided immediate gratification. The sweesptakes was success – gaining ~11k FB fans as well as ~10k in sales with a consolation offer.